Wardley is one of leading brand in the world for fish food. 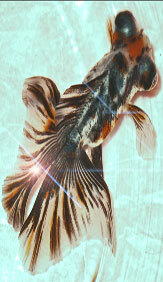 Their products are including fish food for Goldfish, Betta, Cichlid, Tropical Fish, and Pond Fish. Wardley is brand from The Hartz Mountain Corporation that also provides pet care products (food, treat, and supplement) among others for dog, cat, fish, reptile, bird, and small animals. Surely what will we talk here is Wardley goldfish food. There are various goldfish food types, including flakes, sinking crumbles, and pellets. So choose one as appropriate for your pet. Yet before we talk about Wardley brand today, let's write a little story how has The Hartz Mountain Corporation established until today. The history began for more than 85 years ago. It was started in 1926, and the actor was Max Stern. Max Stern was native Germany that migrates to the United States after his country was suffering of the First World War. First of all, his business was about selling Singing Canaries at the United States and soon thereafter established his business nearby at 36 Cooper Square. Stern went back to his native Germany again and again, returning to America each time with more singing canaries, that he now sold to a growing customer base. By 1932, Stern was the largest livestock importer in America and decided to expand into packaged bird foods. The Hartz Mountain line of pet products was born. In 1959 Stern's son has joined the company and expanded Hartz Mountain's products into fish care including goldfish, tropical fish and a full line of aquatic supplies. They expanded again in the 60’s with the dog and cat products. Then in the 1990’s was the moment which Wardley brand was started. Wardley was acquired by Hartz to expand their product lines of fish food and supplies. Hartz experienced some acquisitions untill now Hartz is joint venture of Sumitomo and Unicharm Corporation, a leading consumer goods company based in Japan. Today, The Hartz Mountain Company cater various products among others food, treat, and supplement for dogs, cats, parakeets, canaries, parrots, cockatiels, finches, goldfish, tropical fish, reptiles, ferrets, chinchillas, guinea pigs, hamsters and rabbits.